Hiking boot support. Work boot durability. With 100% waterproof construction, ground-biting lug outsole, and a contoured heel lock that keeps your foot firmly in place, these Work Boots offer jobsite ruggedness with hiking boot comfort. 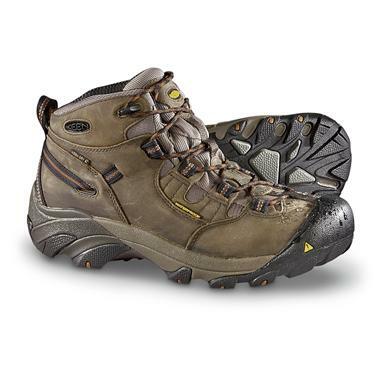 Order your Keen® Utility Work Boots right here!